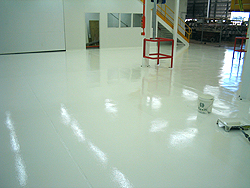 A semi-gloss, waterborne epoxy coating for use on concrete floor areas where down-time restrictions require early access to coated areas. 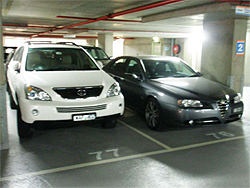 Particularly suitable for underground carparks and in parking buildings. Provides a seamless, dense, impervious and chemically resistant coloured floor finish which is hygienic and easy to clean. Clean room standard approved ISO 14644.